Triumph are pleased to announce a new partnership– with Gore-Tex, the globally renowned technical ‘all-weather’ protection brand. This is a totally unique relationship, making Triumph the only motorcycle brand with a fully in-house designed range incorporating Gore-Tex technology, and the only European motorcycle brand with an in house developed ‘pro-shell’ riding suit –with Gore-Tex. 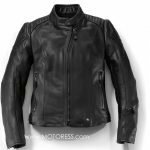 Triumph for 2018 offers a new stylish lineup of adventure clothing for women motorcycle riders. 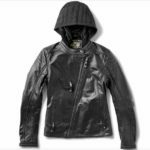 This includes three families of jackets and trousers, plus gloves, but also extends into Triumph motorcycles classic rider wear. All of which come with the latest generation of D3o armour. Triumph is the sole OEM motorcycle manufacturer licensed by Gore. 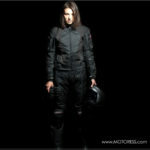 pro shell riding suit with Gore-Tex. Meeting all the functional requirements of an adventure rider, the stylish ladies GORE-TEX the Triumph Women’s Snowdon jacket has been engineered to tackle the most extreme conditions, whilst ensuring the products are tailored and designed specifically for women. Built to last, the Snowdon jacket and jeans are constructed with a GORE-TEX membrane z-liner. Z-Liner construction means that the GORE-TEX membrane is bonded to a lightweight carrier fabric and is then freely suspended between the garments outer layer and lining. The Snowdon also features inner storm cuffs and air vents to enable the rider to regulate and maintain a comfortable core body temperature. In addition D3o impact protectors are used throughout, alongside purposeful reflective detailing for increased visibility of the rider. Waterproof and breathable GORE-TEX Z Liner membrane. Air vents directing maximum flow through main body. Sleeve adjustment for controlled, personal fit. Waist and wrist adjustment. Full D30 Armour protection with removable shoulder elbow and back protectors. Reflective detailing for visibility. Water repellent zipper pockets. Waterproof, engineered for the extreme! By keeping water out of the material you are wearing, GORE-TEX clothing prevents heat loss, keeps you dry and comfortable, and works during extended use in harsh conditions. 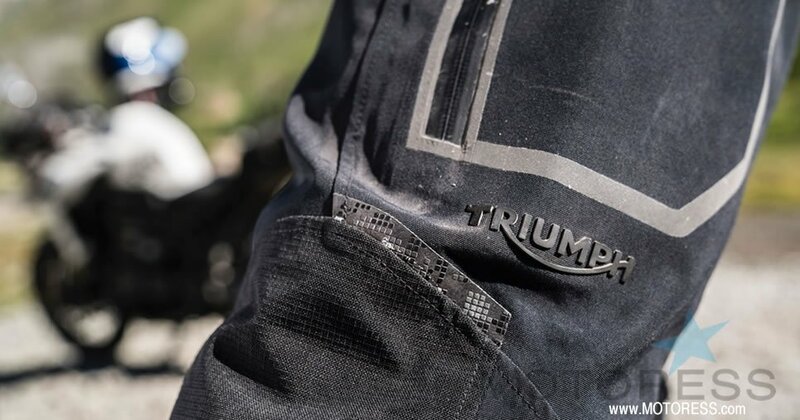 The Triumph Rider Wear clothing range with GORE-TEX provides riders with a significant level of climate protection, even during more extreme off-road adventures, without compromising comfort and flexibility. At the centre of GORE-TEX fabric is an extremely thin membrane of expanded polytetrafluoroethylene (ePTFE). This membrane has over 1.4 billion pores per square centimetre, and each is 20,000 times smaller than a water droplet. GORE-TEX products employ a variety of uniquely constructed structured membranes that are bonded between a high-performance lining and durable textile materials. 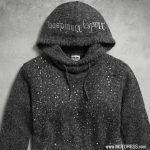 The fabric is then treated with a coating known as DWR – or a durable water repellent polymer, that beads water and prevents it from soaking in to the fabric. The combination of the membrane, DWR, and support materials gives the fabric its characteristics of being waterproof, windproof and breathable, perfect for riding in challenging conditions. Visit Triumph Motorcycles website to find a retailer near you!